An ancient Hindu legend tells us that there was a time when all men who lived on Earth were gods. But men abused their divinity so much that Brahma, the supreme god, decided to deprive them of the divine breath within them and to hide it where they could never find it and use it again for evil. 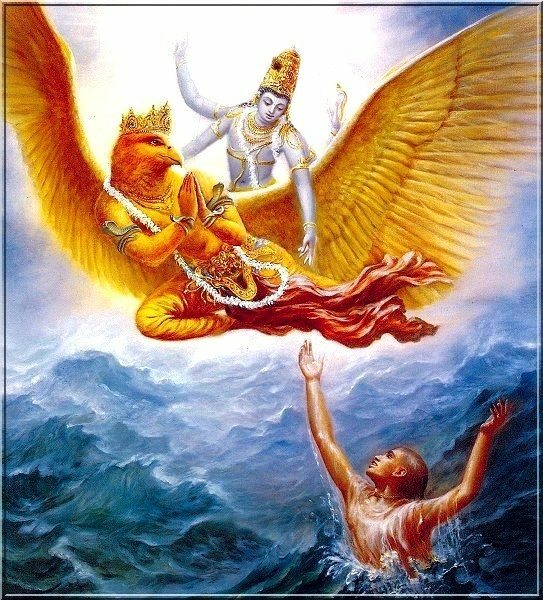 Then Brahma summoned all the lesser gods to seek a suitable place where they could hide the divinity of man and prevent them from misusing it again. The great problem was to find the proper place and the lesser gods proposed, “Let’s hide the divinity of man deep in the earth,” said the other gods. “No,” said Brahma, “it will not be enough, for man will dig deep into the earth and find it.” Then the gods proposed, “In that case we will bury it, and submerge it in the depths of the oceans.” “No,” said Brahma, “sooner or later man will learn to dive into the ocean and find it there too.” Then the lesser gods said, “Let’s hide it on the highest mountain.” “No,” replied Brahma again, “for one day man will climb all the mountains of the Earth and capture his divine breath again.” The lesser gods, disconcerted said, “Then we do not know where to hide the human divinity, nor do we know of a place where man will not find it someday.” And Brahma said, “Hide it within man himself; he will never think of looking for it there.” And so they did. Hidden within each human being is something divine. And since the dawn of time, the legend says, that man has traveled the Earth, has gone down to the oceans, and has gone up to the mountains looking for that quality that makes him similar to God and that all the time he has always carried inside himself.